Performing and serving with organizations like From the Top help us recognize that identity and community extend beyond sticky labels of race, gender, nationality, or economic status – these experiences reveal that we are part of a community bound by the sacrifice and diligence required to develop and maintain mastery of our art. Whether in a practice room, at the barre, or in the studio, artists often cultivate art in private while hoping to connect to an audience and to other artists. Recognizing the cultural and social value of our art makes all the solitary practice meaningful. Reflecting on my time in programs like From the Top reminds me that artists, though sometimes isolated, are not alone. And, some of our greatest collaborations occur when we realize our unique community can serve others. I was introduced to the novelist and social critic James Baldwin in high school and experienced his writing as a dialogue across time and artistic disciplines. Baldwin reminds me that art is not neutral, but a dynamic force and that an artist’s contributions have the potential to be ever present. We each have an opportunity to reflect on how we are going to contribute as artists. 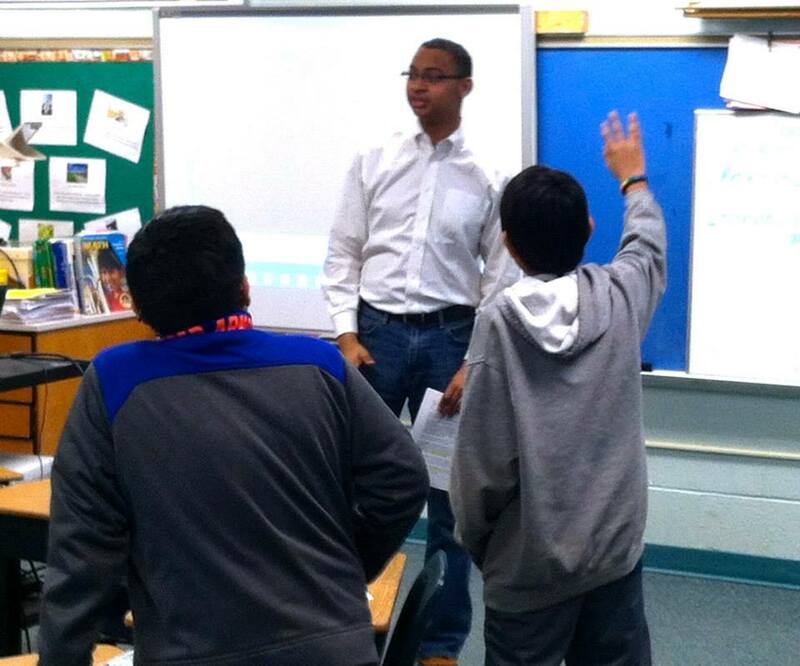 During freshman and sophomore years in high school, I volunteered at an elementary school as an advanced math ambassador in a program called Saturday STEM University. It’s a wonderful program that exposes students to subjects like robotics, rocketry, and high-level mathematics. I also performed recitals each month for retirement communities through an organization called the Friday Morning Music Club. Volunteering for both groups was great and I wondered if there was an organization that would allow me to combine performance and community education. Not finding one, I created Chamber Unique (ChU)TM. ChU was created as network of artists who share our love of the arts to provide education, inspiration, and to strengthen communities, using workshops, presentations, and performances. The diversity of my family’s artistic interests inspired the concept as a “chamber network” — an innovative approach to performance. My older sister Kate Lyn is an incredible writer and loves musical theatre. My younger brother, Andy, is a visual artist who plays French horn. So, unlike a traditional chamber group with a specific number of musicians and specific instrumentation, ChU was designed to incorporate a variety of guest artists in multiple arts disciplines as a means of harnessing the power of performing arts for education and service. During the past two years, I’ve realized the best part of creating my own organization is the ability to collaborate with family and friends. ChU has launched two projects since 2013 that allowed us to serve both seniors, through a performance series for an arts and wellness program, and young people, through an education initiative integrated arts education with other academic disciplines. Two years ago, Andy and I piloted this initiative: a six-part Saturday workshop designed for elementary school students at the Kent Gardens Elementary School Saturday STEM Academy. The workshop integrated music, science and math; including topics like the mathematics of rhythm and the physics of sound — turning STEM into STEAM (Science, Technology, Engineering, Art, & Mathematics). It also served as a performance opportunity for guest musicians – the first ChU alumni. All of the guest artists were also high school students, my talented friends and colleagues. Today, this ChU family attends conservatories and universities across the country including Stanford, Rice, and the Peabody Conservatory. 2015–2016 marks the third academic year ChU will provide programming in my home state of Virginia. Now that I’m at the University of Michigan, we’re expanding our reach by collaborating with Crescendo Detroit to offer our STEAM workshop and by developing new curriculum. Our most recent project, developed by my sister Kate Lyn, pairs artistic performance with anti-bullying and messages about the importance of creating and maintaining respectful environments. When you serve with your art, you have the opportunity to perform without focusing on winning awards and you create an environment of collaboration rather than competition. During the last two years, focusing months of performances on educating and serving increased my connection to audiences, other arts leaders, and really, everyone I encounter. When you serve with your art, you have the opportunity to perform without focusing on winning awards and you create an environment of collaboration rather than competition. Baldwin’s writing voiced his belief that whatever life brings, artists are responsible to perfect their art for the benefit of the human spirit and this idea accompanies me as I perform and in my service and leadership. I play the euphonium which is a unique instrument in the United States. It is an honor to consider that my instrument of self-expression has the potential to both serve and to speak with someone the way Baldwin has spoken with me. Every artist has this potential and responsibility. I hope each of you finds your place in service and arts leadership. Joe Broom performed on NPR’s From the Top with Host Christopher O’Riley Show 298, recorded in Greenville, South Carolina.